Climate change is globally recognized as one of the key drivers of degradation of coastal wetland ecosystems, causing considerable alteration of services provided by these habitats. Quantifying the physical impacts of climate change on these services is therefore of utmost importance. 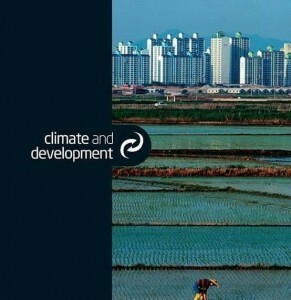 Yet, practical work in this field is fragmented and scarce in current literature, especially in developing countries which are likely to suffer most from the adverse climate change impacts. Using a coherent scenario-based approach that combines assessment of physical impacts with economic valuation techniques, here we quantify potential climate change driven losses in the value of wetland ecosystems services due to relative sea-level rise (RSLR)-induced inundation in the vulnerable Western coastal area of Bangladesh in 2100. The results show a small inundation area in 2100 under the three IPCC climate scenarios of RCP2.6 (with 0.25 m of RSLR), RCP6.0 (with 1.18 m of RSLR), and RCP8.5 (with 1.77 m of RSLR) for the coastal wetland ecosystems including the Sundarbans mangrove forest, neritic system and aquaculture ponds. In all scenarios, RSLR will drive a loss in the total value of ecosystem services such as provision of raw materials, and food provision, ranging from US$ 0–1 million to US$ 16.5–20 million, respectively. The outcomes of this study reveal that RSLR-induced inundation on its own, is unlikely to be a major threat to the wetland ecosystems in Western coast of Bangladesh. This would suggest that other climate change impacts such as coastal erosion, increase in frequency of cyclone events, and sea temperature rise might be the likely primary drivers of change in the value of wetland ecosystems services in this area.